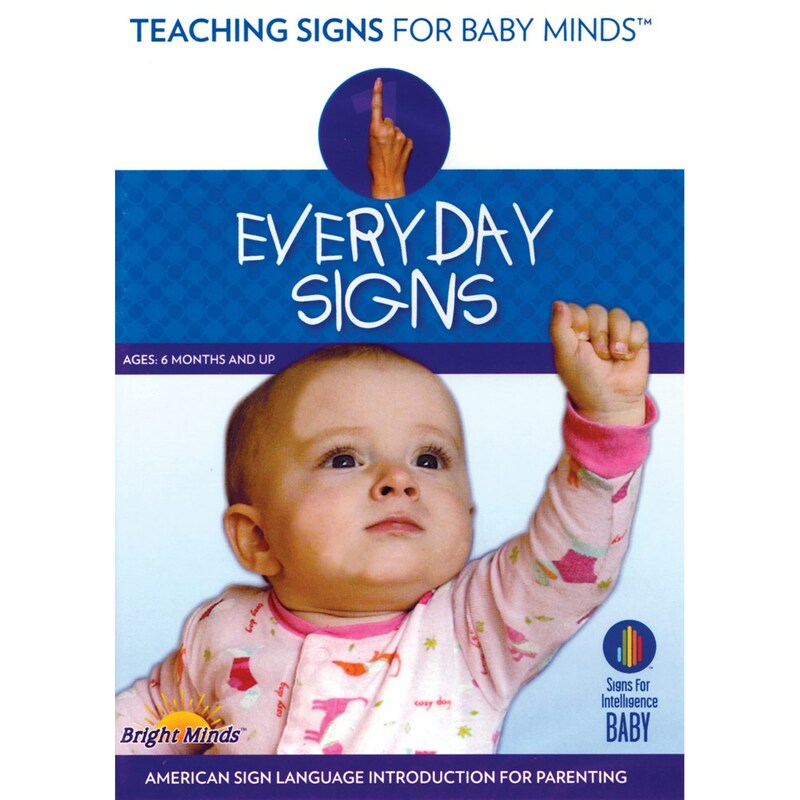 This delightful DVD helps parents and families develop early two way communication with their babies and toddlers. Includes a guessing game at the end to challenge your ability to remember the signs. Universal access: Plays in a computer with a DVD drive or on your home TV/DVD system. Cookie, Cracker, Drink, Eat, Finished, Milk, Water, Airplane, Bed, Blanket, Book, Glasses, Hat, Shoes, Bath, Change, Close eyes, Help, Music, Stinky, Stuck, Swing, Baby, Boy, Brother, Dad, Girl, Mom, and Sister.